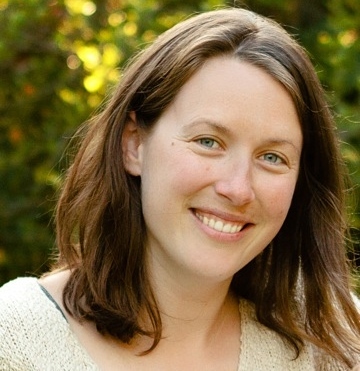 Dr. Rebecca Chaplin-Kramer is a Research Associate at the Stanford Woods Institute for the Environment and the Lead Scientist on the Natural Capital Project. She received her PhD in Environmental Science, Policy & Management from University of California – Berkeley. She then stayed on to do a postdoctoral fellowship at the University of California – Berkeley. Becky is with us today to tell us about her journey through life and science. Becky leads the Natural Capital Project’s freshwater and terrestrial team. She coordinates the model development and implementation of the InVEST tool, and she also is overseeing our first monitoring efforts to assess the biophysical and socioeconomic impacts of our work with Water Funds in Latin America. Her past work has combined conducting field experiments, modeling, and coordinating between researchers and practitioners at regional and local scales, through agricultural extension programs and the California Energy Commission’s Public Interest Energy Research program on climate change. Becky is passionate about preserving ecosystems embedded in working landscapes and forging new alliances between conservationists and farmers, ranchers, and other land stewards.